Always use a clean cloth to remove excess liquid – never use a solvent-based cleaner. Have a scratch on your window? – Try using a jewellers rouge or rubbing compound to remove. Avoid cleaning the areas where the window joins / seals – as this can disturb the fixtures. Clear gutters of leaves regularly as they turn to mulch and may block your drainage. Condensation cannot always be resolved by cleaning as water vapour can find its way into any space. 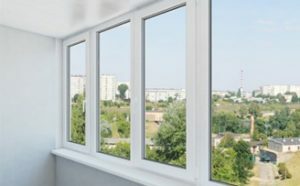 Condensation is avoided in the long-term by providing natural ventilation (opening the windows); installing a ventilator or extraction unit where possible and fitting wall vents to aid air flow. Ensure your windows are fully lockable both for home-insurance reasons and to assure safety at all times – if for any reason your window locks don’t work, contact an expert for assistance. Consider contacting Melton Glass for full unit replacement or glass replacement in your units if you see that your windows are permanently misted up.